Medicare options we can help you with. 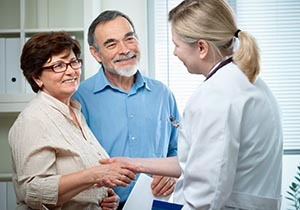 Medicare Options are made simple when you choose Dublin Health & Benefit Group, LLC. When you sit down with a Dublin Health & Benefit Group broker we will help you evaluate your need for access and balance your comfort with assuming risk the fit to your budget. We are sure to find a plan to fit your needs. We contract with all of the major carriers offering value in each product line and market. As a resource to you, our staff of seven employees is here year round to answer questions, service your account and resolve any concerns that you may have. Each year we will reach out and confirm your satisfaction and help you make adjustments if necessary. Timely market announcements will be communicated as they impact your situation. Your story is important. We care about you and strive to ensure that not only do you leave with the best Medicare option(s) for your needs but that you understand how it works. What if I’m not ready to enroll but I have questions now? Anyone thinking about Medicare 6-12 months before their birthdate could benefit from an initial consultation with one of our brokers. If you are planning for your future and wish to have a consultation with a broker to assist with anticipated changes, we welcome you to call for an appointment anytime to answer questions you have about Medicare. We can assist you with strategizing all areas of this transition from when to begin receiving Social Security to what products might best suit your plan in retirement. Give us a call at 603-563-8820 or click to request Medicare information or a quote.